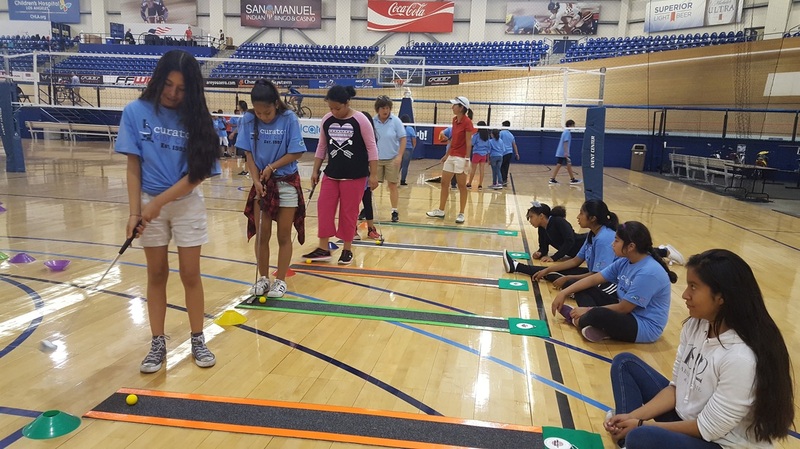 A community outreach program designed to inspire K-12 students to get moving and physically active. P-3 is an unforgettable sport and learning experience that combines inspirational Olympic video with bicycle riding and other sport activities. P-3 takes students through a cycle of success. The program begins with an Olympic video, then shifts gears and invites students to experience riding a bicycle. Participants move through activities focusing on cooperation, decision making, communication and goals setting. Students take home with them moments and messages they remember for a lifetime! This program is appropriate for youth organizations as well as elementary, middle and high scool students. The presentation and activites can be tailored to fit the age group. Program opportunities and options vary from a one-day assembly to multi-day bike sessions and group field-trip to the velodrome indoor cycling stadium. ​Contact us if you are a principal, teacher or youth group organizer interested in having your students participate in this program.